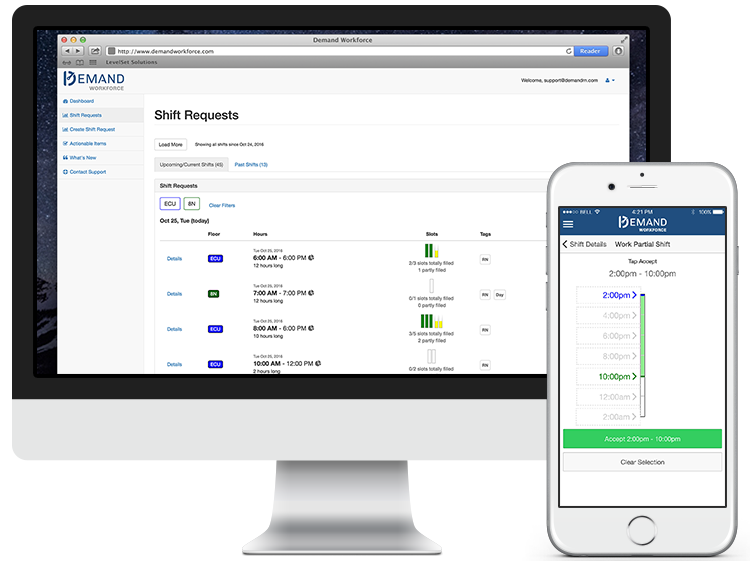 DemandWorkforce connects management with all of their staff instantly. 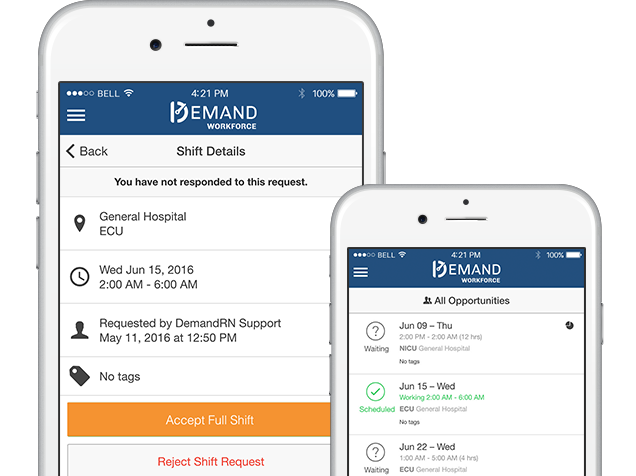 A manager simply creates a shift request and clicks send. This request will instantly be delivered electronically to all qualified and approved personnel directly, who receive it on their mobile phone app...within seconds. For healthcare systems specifically, implement a project embraced by the Professional Nurse Council - a Magnet project!